I decided my wife's stand mixer needed to issue it's own QSL card. The KitchenAid Pro series 7 quart stand mixers (and probably some of their others) have a variable speed motor, which produces a prodigious amount of RFI/QRM. This is great of course, but I'm wondering what the difference is between your mixer and mine? I have an older Pro 6 model (not to be confused with the Professional 600, which came later) and I get no RFI from it at all. 7 quart? What are you pureeing, weenardogs? But can you modulate it? Will this make it into the next Andy Yoder Pirate Annual? Don't be surprised if some of those government boys bust into your home at 3am, confiscate said mixer, and hand you a 6 figure bill. You are probably disrupting some for-profit dark side of the moon programming. ! Yep, tried that, my usual first line of defense. No luck. I understand KAID will be on the air later this afternoon, in fact. The upside is it will be making low carb chocolate mousse. When ferrets won't do, it's time to open the case and get jiggy like wil smif suggested in that video with some .01 ceramics rated a few kv. Or perhaps add one of those ac line filters you can plug a ac cord into? Then you'll have more woos, ah ahs, uhs, and yos than wil smif. 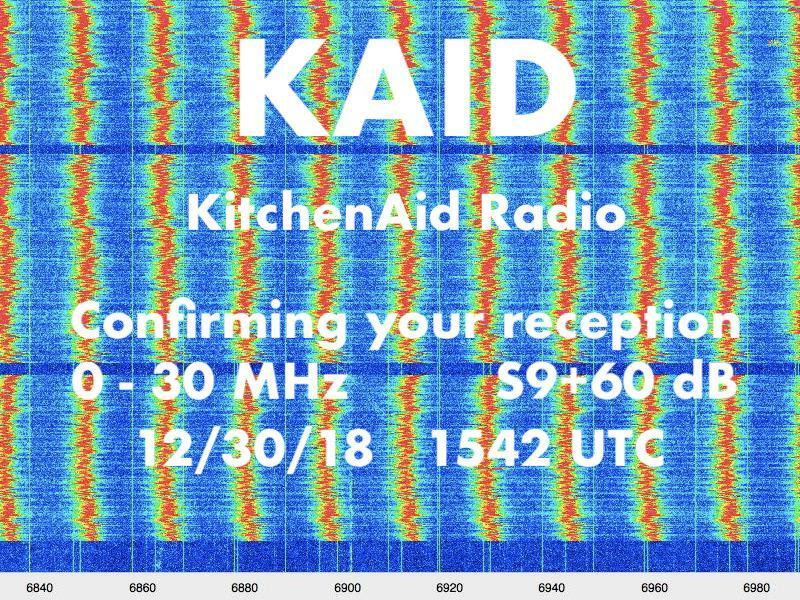 I understand KAID will be on the air later this afternoon, in fact. The upside is it will be making low carb chocolate mousse. I'd suggest that you narc on them to the Feds but you know...that government shutdown thing you folks are having would prevent immediate relief. get jiggy like wil smif suggested in that video with some .01 ceramics rated a few kv. Yeah, like right on the motor leads. Alternatively, you could put your entire kitchen into a Faraday cage.